In 1999, Guinea worm disease took Nigerian farmer Abdullahi Rabiu to the edge. With a reported 84 worms exiting his body through skin blisters, Rabiu could do little more than hope to survive. "The worms were there one after the other until I was down completely. I couldn't work. I couldn't move because the worms were coming from so many different places," he said of the parasitic disease that is caused when a person drinks water contaminated by water fleas containing Guinea worm larvae. Rabiu said that, at the time, whenever someone in his village died, people would start crying and shouting, "Maybe it's Rabiu." And they would rush to his house to find that he was still alive. Barely. Although Rabiu eventually recovered from his ordeal with the waterborne parasitic disease, he lost a season of work in the fields. And he wasn't the only one. 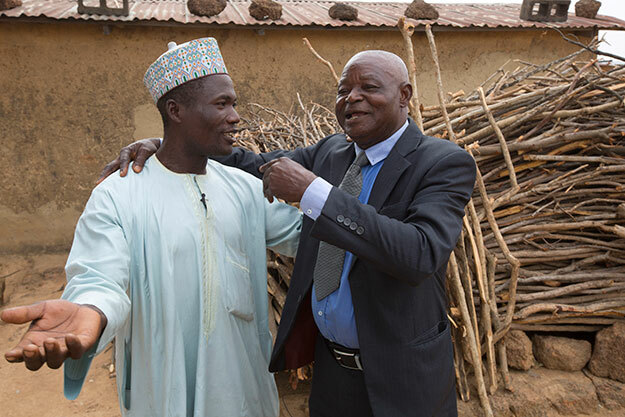 His Kufan Ruga farming community was in the midst of a Guinea worm outbreak that year, incapacitating many of its farmers during their most productive season. Nine years later, Nigeria had broken transmission of Guinea worm disease. Rabiu never had another Guinea worm and even was named Farmer of the Year in 2000 after a bumper crop. It's for people like Rabiu that The Carter Center has led the international campaign to eradicate Guinea worm disease since 1986. Then, there were an estimated 3.5 million cases of the disease worldwide. In 2014, only 126 cases were reported. The success of its Guinea Worm Eradication Program has paved the way for the Center to aim to eliminate other diseases, specifically river blindness and lymphatic filariasis. "The potential for disease eradication to permanently improve quality of life worldwide is tremendous," said Dr. Donald Hopkins, vice president for Carter Center health programs. When a disease that incapacitates people is eradicated - meaning gone forever - the health of individuals improves, and local and national economies benefit from more productivity. Furthermore, resources once spent on ongoing treatment for people suffering from a disease can be reallocated for other priorities by nations and nongovernmental organizations, said Dr. Hopkins. To date, 17 of the 21 African and Asian countries that were endemic for Guinea worm disease in 1986 are now free of the parasite. On the other side of the globe, the Center has spearheaded efforts to eliminate river blindness, also known as onchocerciasis, from the small pockets of Latin America where it existed. Of the six countries there endemic for the disease in 1993, only Brazil and Venezuela are still facing active disease transmission along their shared border in the remote rainforest. 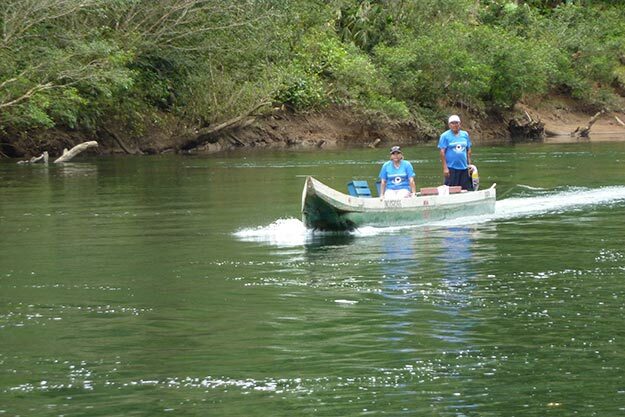 Raquel Lovato, technical coordinator of Ecuador's onchocerciasis program, remembers how rampant the disease was years ago in the areas along the Cayapas River. "I could see a lot of people suffering in these hyperendemic communities," she said. "They left in canoes with 400 to 500 people in a week to see the doctor." Transmission of river blindness was halted in Ecuador several years ago, but during the three-year surveillance period after the disease had been stopped, Lovato and her colleagues continued to visit more than 100 communities each year to ensure the disease would not return. Similarly, the island of Hispaniola - home to Haiti and Dominican Republic - also is a target for The Carter Center. The only island in the Caribbean that still has malaria, Hispaniola also contains more than 90 percent of all lymphatic filariasis remaining in the Americas. Both diseases are more prevalent in Haiti than in the Dominican Republic. The Carter Center is bringing the two countries together to collaborate on a plan for eliminating these two diseases. No matter where the Center is working or on what disease, the end goal is the same. According Dr. Hopkins, "We want to help lift as much of the burden of these diseases as possible off the backs of these people in the rural communities so they can go about their business of supporting themselves, raising their children, and contributing to their communities and to the world." The following countries have eliminated the disease since The Carter Center began its campaign in 1986: Benin, Burkina Faso, Cameroon, Central African Republic, Cote d'Ivoire, Ghana, India, Kenya, Mauritania, Niger, Nigeria, Pakistan, Senegal, Sudan, Togo, Uganda, Yemen. Four countries in the Americas have halted the disease since 1996: Colombia, Ecuador, Guatemala, Mexico.